This is what i have and I need help on how to use it. I was told and read in here thati should use test and winnie with some equip or sustan, but im not sure please give any advice u can, consider me a sponge. deca depot? are you sure? deca is short for decanoate, an ester that is attached to the nandrolone steroid molecule. depot is enanthate (i think), another ester that can be attached to steroids . 2 esters shouldn't be attached to each other. Welcome to AR Hit_em_Hard ! Good luck brother ! And of course, let us know what your objectives are. and also says decanoato de nandrolona may be same stuff? I'm sorry I never heard of equip ar you talking about EQ (equibolan)? 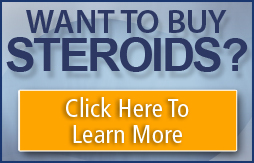 I am first going to tell you that you should not use steriods if you don't know what the hell they do or what to do with them. Next I am going to tell you to put the word dbol not dbal in the search engine and it should give you some beginner cycles.